OPI Shatter Top Coat is an innovative formula glides over the nail and creates a cracked, rippled effect similar to that shown on the polish lid. OPI Shatter gives that cutting edge finish to any standard nail colour that is taking the fashion world by strorm! 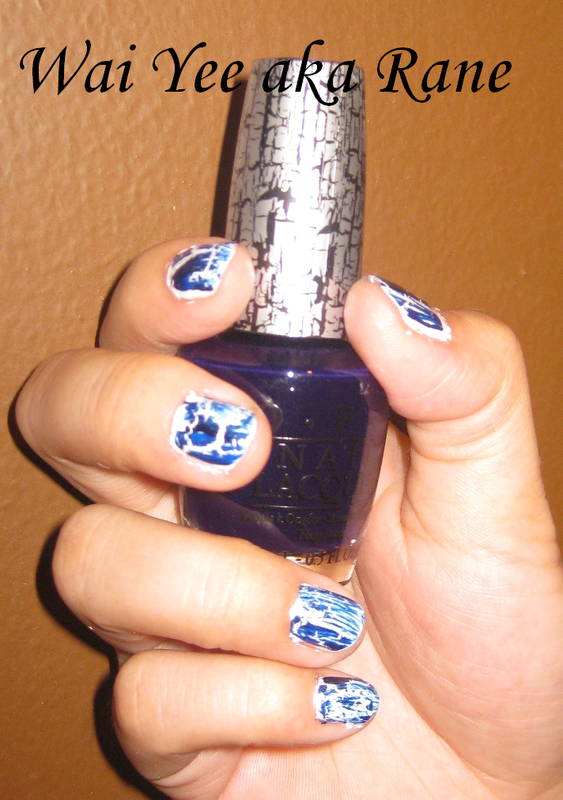 I have recently purchased the Navy Shatter from Nail Fiesta and tried on it. 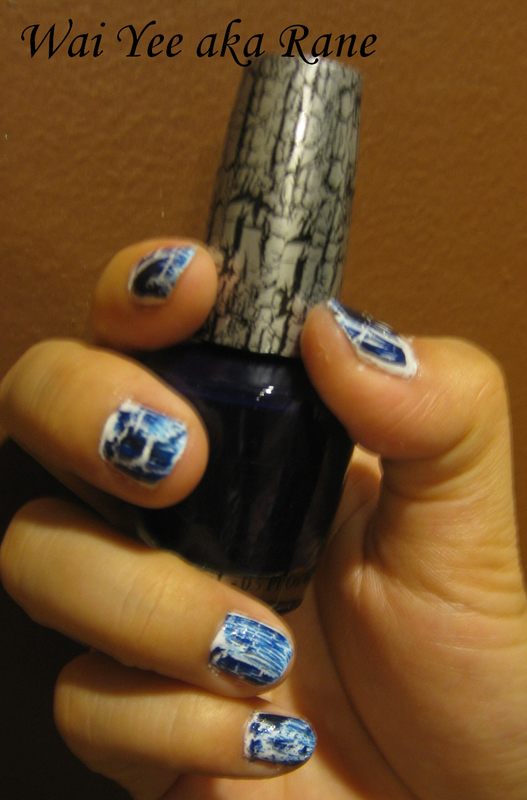 It was fun to see the Navy shatter split and created the cracked effect on my nails. 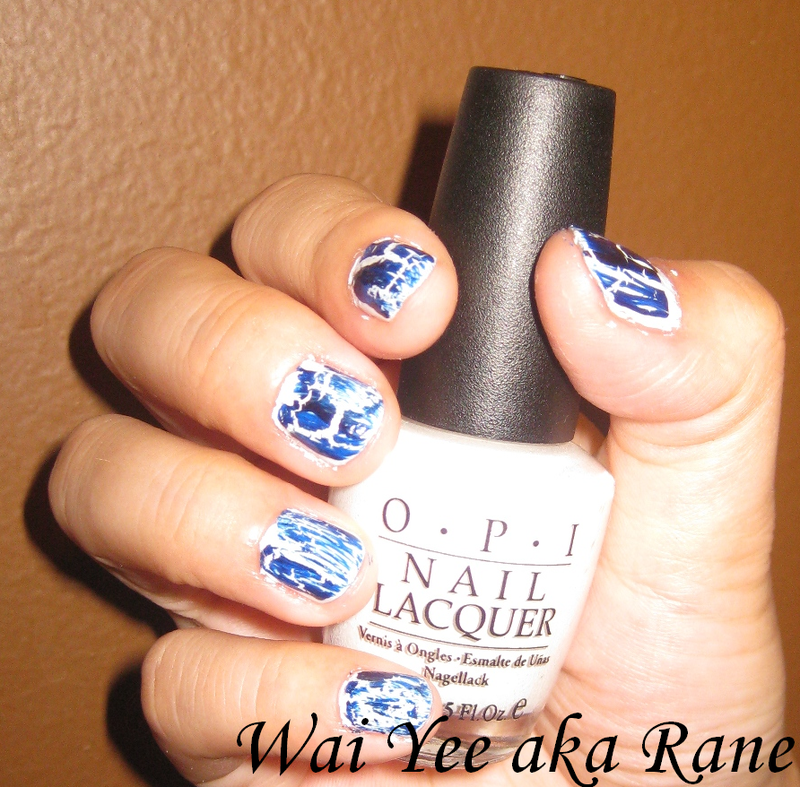 I applied OPI Alpine Snow as my base before Navy Shatter. Follow by one coat of Navy Shatter. Shatter dries up very fast(I did my manicure in my living room under the fan in slow speed) so you got to be quick and steady when applying it. I applied transparent top coat after the nails are dried.